CLOSEOUT – WHILE SUPPLIES LAST! 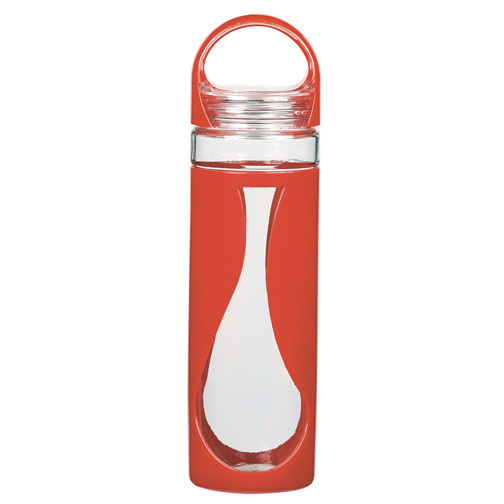 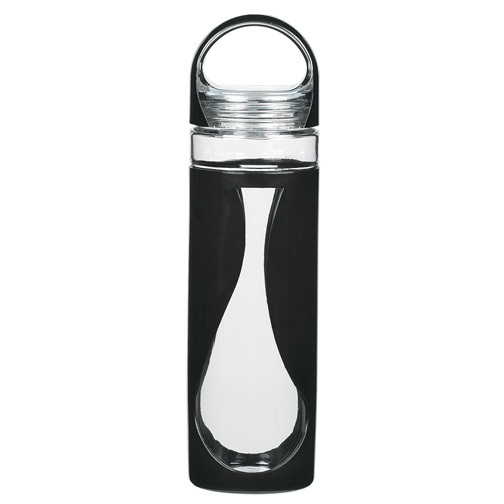 Generate big buzz when you gift this promotional 17oz Glass Teardrop Shape Water Bottle to your customers! Made of high borosilicate and is protected by a plastic sleeve this custom imprint water bottle features a screw-on, spill-resistant lid, wide mouth opening, and an easy carry handle. It’s BPA free and meets FDA requirements. 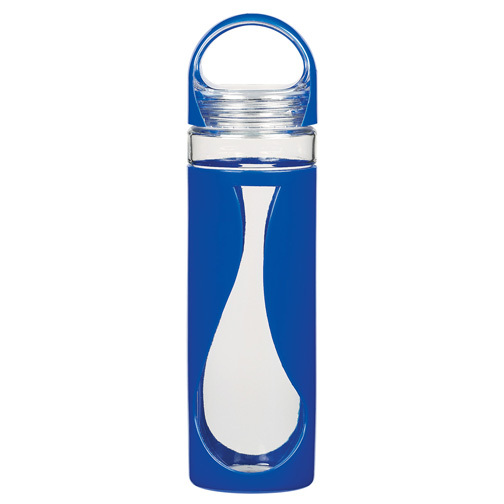 Custom printed with your logo to provide continuous exposure for your brand at the office and on-the-go.